As the weather starts to cool down in San Antonio, it’s important to take some time to do a little HVAC maintenance to tune up your heating, ventilation, and air conditioning (HVAC) system. Whether a ductless heating system or with ductwork, if it’s running poorly, that will mean less comfort and higher energy bills for you during the coldest winter months. Heating your home and producing hot water are generally the largest energy expenses for any homeowner, so you can ensure your home heating bill remains as reasonable as possible by supporting your HVAC system and keeping it running properly. Complete these easy HVAC maintenance tips in the fall to help your system operate efficiently throughout the winter. This way, you can save money to be enjoyed in other ways during the holiday season. The same day the filter is replaced is also a good time to travel around the home and vacuum off the air vents. This keeps them clean and allows warm air to flow freely, easing temperature regulation throughout the home. Yearly service of your HVAC system ensures it runs properly. Homeowners should have the system inspected in the fall to best prepare it for the demands of winter. 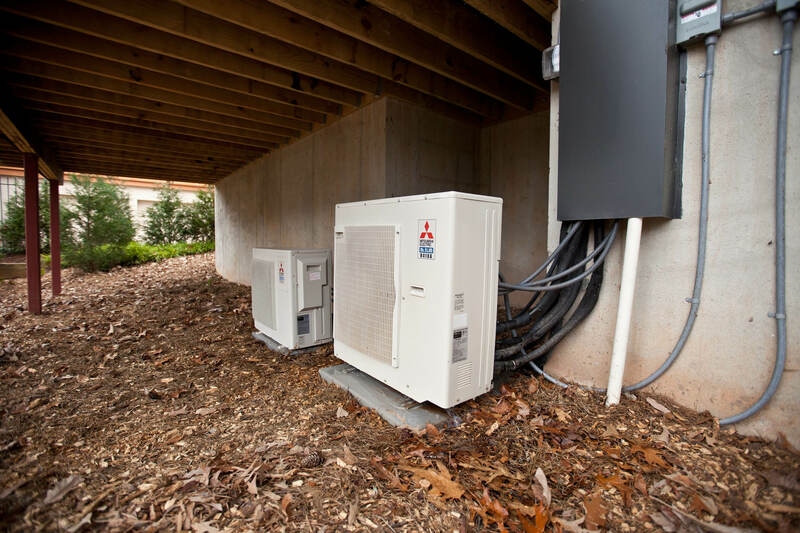 Replacing the home’s HVAC system is an expensive proposition, but if your system is old and inefficient, the added comfort and financial benefits of a new system can be very real. If your system is more than 10 years old, you should ask a service technician’s opinion on the longevity of your system. Replacing it with an Energy Star model could reduce your home’s annual energy bill by as much as 30 percent, per EnergyStar.gov. One of the easiest ways to help your HVAC system operate at peak performance is to lighten its load. Insulating the home’s attic keeps warm air in the home and prevents it from escaping outside. This allows your HVAC system to do less and still maintain the home’s proper temperature. Per EnergyStar.gov, a simple visual test will determine whether the home’s attic is sufficiently insulated. According to their recommendation, insulation in the attic should be high enough to obstruct the view of the floor joists. If this is the case, additional insulation will offer little to no benefit. The right temperature inside a home depends largely on who is there at the time, and when no one is in the home, the right temperature can be significantly lower than a conventional “living area” temperature. Many homeowners however fail to adjust their thermostats when they leave their home because it’s too much work, they forget, or they don’t want to return to a cold home. Installing a programmable thermostat in the house eliminates these concerns altogether. This technology allow you to set the temperature in your home for every hour of the day, and it will keep to that schedule, day after day, week after week. Plus, depending upon the device (like Nest, for example!) you can even adjust the temperature from your smartphone, meaning you can tweak the settings of your home thermostat wherever and whenever you might be.